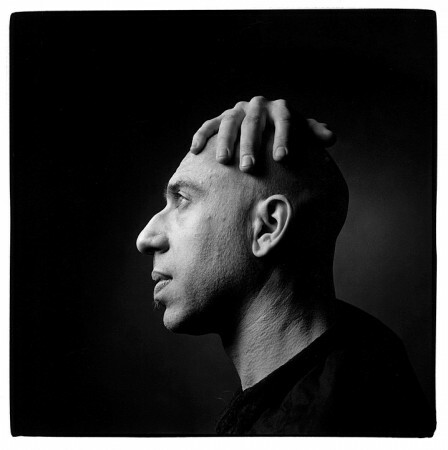 When guitarist/multi-instrumentalist Elliott Sharp performs on Thursday in the Walker galleries, he’ll bring an instrument befitting the unusual setting. Beneath Ernesto Neto’s otherworldly otheranimal sculptural installation, he’ll be playing a customized six-string designed by luthier Saul Kroll, modified to include two additional bass strings, a Novax fanned fretboard system, a Jason Lollar pickup, an oval soundhole, and a piezo pickup system. Climate-change/global warming and its denial by the multinational corporate forces of greed and ignorance. What artist turned your world upside-down as a teenager? What’s your favorite mode of transport? Sharp performs as part of Target Free Thursday Night this Thursday at 6, 7, and 8 pm in the Walker’s Perlman Gallery. The three-part Sound Horizon series concludes with a free performance by Colin Stetson on May 10.